Do they have "swim-ons" in college? Would Calwswim's twitter acct tweet this out? Seems strange. Hence the "?" in my OP lol. CS is apparently self-reporting, so not always a reliable source unless/until it's confirmed via more official channels. Would agree that typically one wouldn't expect a recruit ranked outside of the Top 1,000 in their class to be pursued by a Top 2 programme in the nation, even for just book money hehe - but swimming talent aside, there could be other legit reasons such as a legacy etc. Sounds like the work of "The coach" trying to cause chaos on our boards lol. Is it true for the rumor that Yuki is going to Wisconsin and Dave is going to Auburn for head coaching positions? 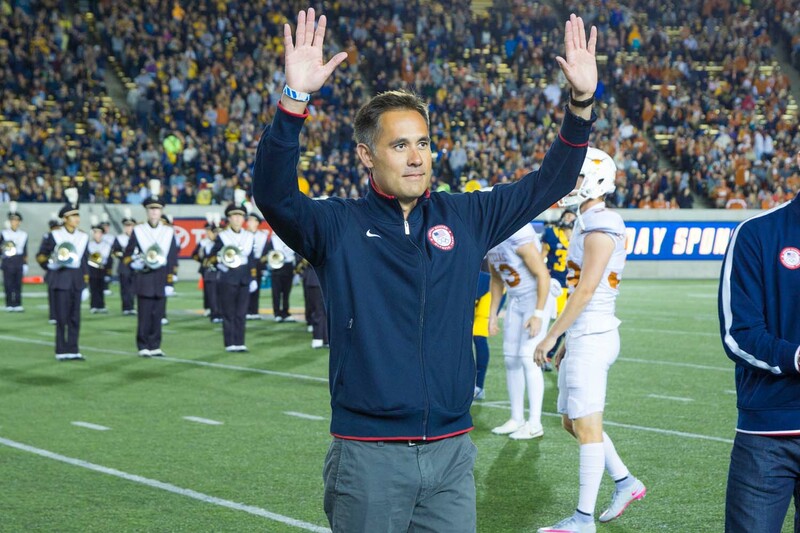 "I spoke with our athletes this morning about this wonderful opportunity for both Yuri and Abby as he continues his advancement in the professional coaching circles," Durden says. "Yuri has done a fantastic job with our program over the last six seasons, and has made a lasting impact in our athletes' career both athletically and personally. I am excited for both Yuri and Abby as this is both rewarding and challenging as he leaves our environment to head to the University of Wisconsin!" Suguiyama will take over a Wisconsin program that was 17th on the women's side at NCAAs last year, 5th in the Big Ten for women and 6th in the Big Ten for men. The Badgers have exciting rising junior Beata Nelson, a home-grown prospect who won Big Ten titles in both the 100 and 200 backstrokes and was an NCAA finalist in both backstrokes and the 200 IM this past season. This should be a particularly interesting offseason for coaching hires. Wisconsin was one of the bigger program openings along with Auburn, and now the Badger job is off the table and Suguiyama off the potential candidates list. Other Division I programs with openings are Virginia Tech, Northwestern, TCU, Holy Cross, Delaware, Georgia Southern and Stony Brook. Also, any idea how Gregg Troy's retirement from UF will impact recruiting after a stellar several years on the men's side? THANK GOD, PAY THAT MAN! Now let's go load up this class. Thank Oski Durden is still on board. His protege Greg Meehan would be an inspired choice to lead combined teams at Florida or Northwestern. His protege Greg Meehan would be an inspired choice to lead combined teams at Florida or Northwestern. Your proposal gets my very enthusiastic upvote lol...along with Knapp remaining on the Farm ad perpetuam, possibly taking over the women's team there? 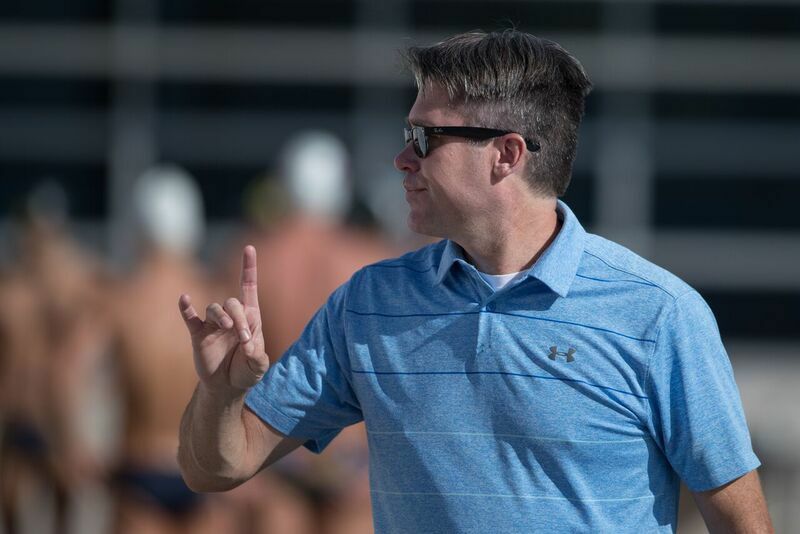 Speaking of this class, the SwimSwam 2019 Men's rankings have been dropped. Will Barao (Bluefish Swim Club / Hingham, MA) A very good mile and 1000 (15:08/9:02), but has a ways to go in the 500 (4:24). Another casualty of the NCAA format's undervaluing of distance swimmers. Kimani Gregory (Race X Aquatics / Penn Hills Senior High / Pittsburgh, PA) one of the class's best 100 frees (43.7), but hasn't yet developed great range around it (1:40.6 in the 200, 20.4 in the 50). Also a good butterflyer (48.0). 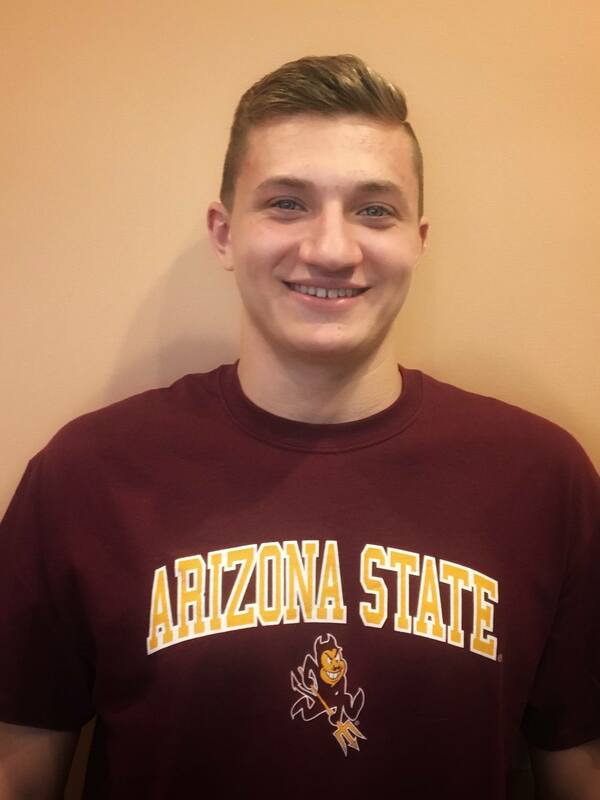 Gavin Olson (Foothills Swim Team / Columbine High School / Littleton, CO) a very good 200 backstroker (1:43.40/48.0) training at elevation, Olson just gets crowded out in a really deep class in his stroke. Alright, the uncommitted recruits from the top 20/HM include: Brendan Burns, Will Tarvestad, AJ Pouch, Ethan Harder, Jason Louser, Shane Blinkman, Michael Petrides, Will Myhre, Will Barao, and Kimani Gregory. 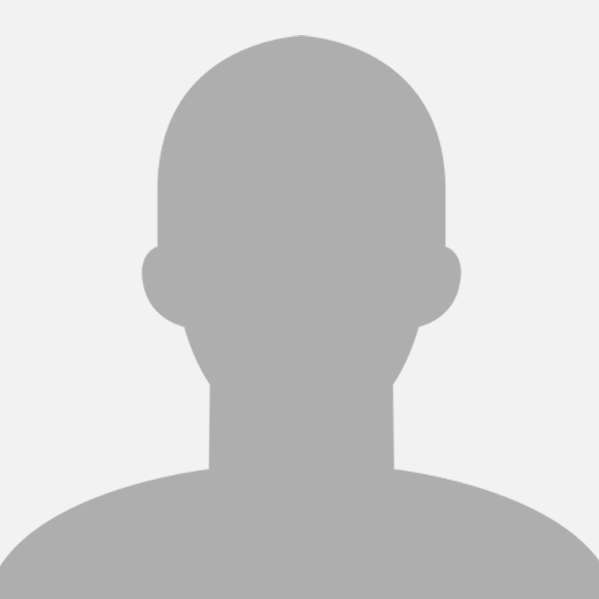 Was Calvin David of California considered from this list? Teammate of #15 Jonah Cooper, and they both swim for PLS (Pleasanton Seahawks) and Foothill. Also a Cal commit. Kimani: "I'm very proud and excited to announce my verbal commitment to the Univeristy of North Carolina State. I'd like to thank everyone who helped me get here and most of all GO PACK. #PBG"
Zach: "I am very excited to announce my commitment to the University of Georgia to further my academic and athletic careers. Big thanks to my family, friends, and all the coaches who have gotten me to this point. #GoDawgs"
Brendan Burns: "Proud to announce my verbal commitment to Indiana University! Can't wait to be a Hoosier and join an incredible academic and swimming community! #hoosierdaddy"
My novice observations of the last four recruiting classes seem to indicate a material drop off in talent in 2018 & 2019. Am I incorrect? Durden & Co recruited strong classes in 2016 (sophs) & 2017 (freshmen) but appears to only have landed the top recruit nationally in Reece Whitley for 2018 and nobody that I could find for 2019. When is signing deadline for the class of 2019? If this is true-I'm surprised that Dave signed a three-year extentsion at Cal. Please correct me if I'm wrong about 2018 & 2019. If Reece Whitley can score points like another Ryan Murphy, maybe Cal can survive without a solid class. GO BEARS! My novice observations of the last four recruiting classes seem to indicate a material drop off in talent in 2018 & 2019. Am I incorrect? Durden & Co recruited strong classes in 2016 (sophs) & 2017 (freshmen) but appears to only have landed the top recruit nationally in Reece Whitley for 2018 and nobody that I could find for 2019. When is signing deadline for the class of 2019? If this is true-I'm surprised that Dave signed a three-year extenstion at Cal. Please correct me if I'm wrong about 2018 & 2019. If Reece Whitley can score points like another Ryan Murphy, maybe Cal can survive without a solid class. GO BEARS! Your observations are mostly accurate. For 2018 they got Whitley and Chris Jhong, who with some big drops could develop into a contributor, but really is coming in with times on par with current bear and borderline NCAA qualifier Ken Takahashi. 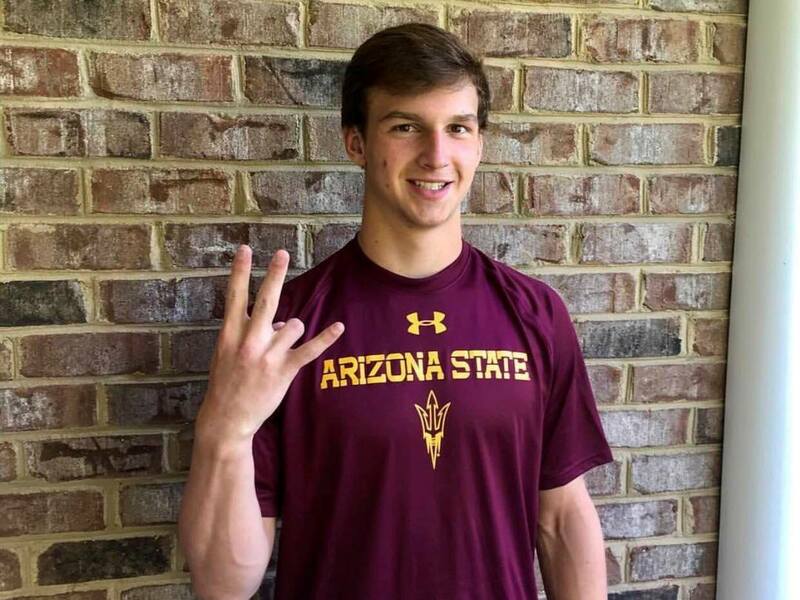 They have a verbal from Calvin Davis for 2019, who is a decent distance recruit but far off a guy like Norman or Grieshop, or any of the top distance/middle distance swimmers from the 2018 class. Contrast this with Texas, who have EIGHT guys coming in at or much better than Jhong's level. 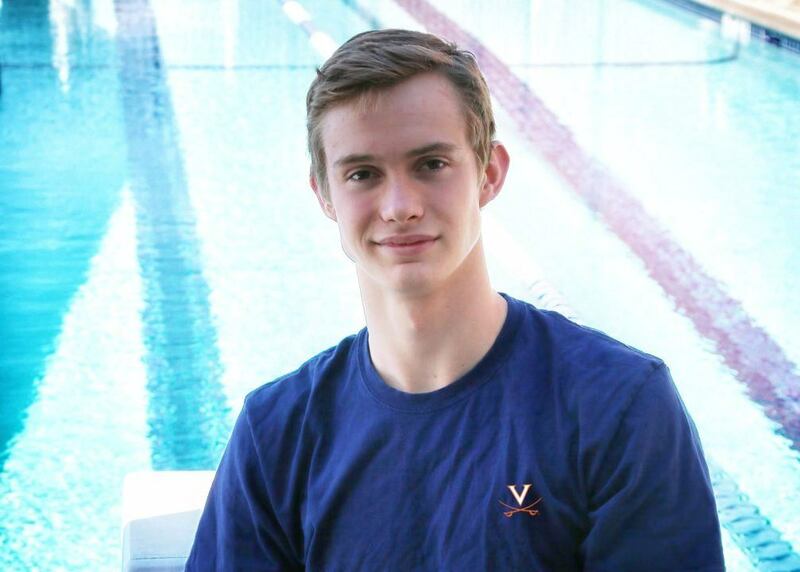 Their best recruit, Drew Kibler, is a tick off Reece Whitley as far as the competitiveness of his individual events, but as a freestyler is potentially a higher impact relay swimmer. Also worrying is the fact that Cal picked up precisely zero sprinters from what is easily one of the two strongest sprint classes (and one of the strongest overall classes) in recent memory. That will potentially be a relay step down as Lynch is gone next year. There is plenty of talent to step up in the 100; 50 is looking dicey, however. The class of 2019 is relatively very shallow, and fairly weak at the top as well. With most of the top talent off the board, I'd say there are only a few remaining domestic recruits that currently don't look like a huge gamble of scholarship money and are worth pursuing (Tarvestad, Petrides). Otherwise, save the money for a later class or an international ringer that requires a full scholarship. The prevailing idea on this board is that you have to "replace" departing seniors with swimmers in their same stroke group, but it doesn't necessarily help anything to bring in a 15:20 miler to replace a 14:30 one unless they're extremely raw. At the end of the day the talent is what wins the national title, and if that means having an imbalanced team then so be it. I think that it is tough to compare the times or ability of a 21-22 year old at the end of his college swimming career to the times or potential contribution of a 16-17 year old recruit. It would be great if a new recruit could replace a departing swimmer without some dip in contribution - but not easy to do. That is true, and in general an immediate high scoring impact cannot be expected outside of the top handful of recruits. But the next tier of high schoolers will have times that we can clearly see move into NCAA scoring range with a little improvement. These are the guys you have to bring in to compete with a team like Texas (or NC State, or Florida, or Indiana). You can't wait for four years and hope that maybe a handful of middling recruits will develop into scorers. You need scoring from across the roster (and this year both the Cal and Texas freshman showed that). So while it is impressive that schools like Denver manage to develop these underrecruited guys into NCAA caliber swimmers at a decent rate, to compete with Texas most of Cal's swimmers have to be on that trajectory, and the 2019 class is not particularly rich in those swimmers (the 2018 class absolutely was though). Essentially you have to have the best talent and the best coaching, or close to it, to win it all. The past four years Cal has been right there for talent, but the development has been lacking. This years freshmen were better but going forward talent will be a major concern. Thankyou,,BRBear, for providing some color to the recruit classes. I follow the majority of Cal sports so it is difficult to keep up with the intensity of both the mens & womens swimming threads here. I follow the women's slightly more closely and McKeever is having her difficulties as well. She had the 2015 Fab Four class but has been relatively quiet in 2016 & 2017. She has five recruits coming in 2018 led by #5 ranked Cassidy Beyer. The key will be the class of 2019 when three of the fab four will have departed the program. This creates a huge scoring void that needs to be filled. McKeever is off to a great start with Isabel Ivey, the #1 recruit nationally, but nobody else to date. 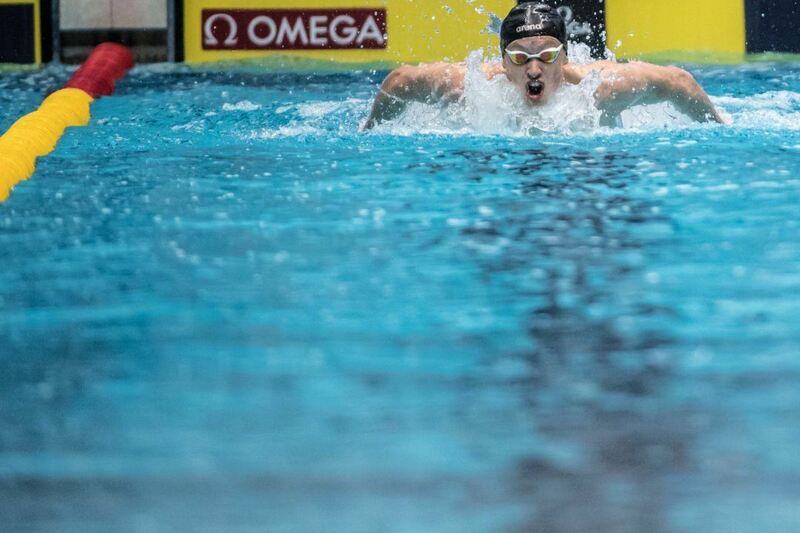 She possesses the fastest 100 & 200 free times as well as the top 200 IM. Ethan: "I'm extremely excited to announce my verbal commitment to continue my swimming and academics at the University of Texas. Hook 'em"
Hey hey, welcome to Cal, Jason! 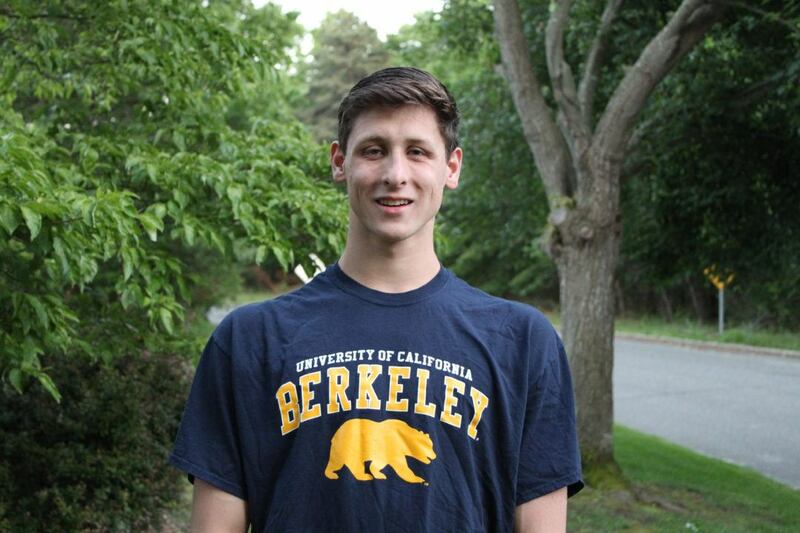 Jason: I'm exited and proud to announce my verbal commitment to continue my academic and swimming career at the University of California, Berkeley! I cannot thank my family, friends, coaches, and teammates enough for helping me get here. Go Bears! Also on SwimSwam's top 20 for 2019, clocking in at #13! Welcome to Bear Territory, Jason! Great get! Did he visit during Jr day? Anyone know those who visited and have yet to sign? 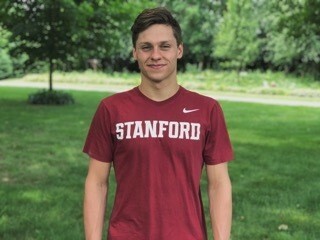 Shane: "I am excited and honored to announce my verbal commitment to swim & study at Stanford University! Go Card! #fearthetree"
Looks like acceptance letters are being handed out presently, as various other LSJU athletic institutions have received top commits for their respective sports. Word on the street is that UVA and 'SC are interested in Petrides, but UVA is nearing zero in terms of scholarships. Barao is another UVA "target," but also has teammate connections to the Tar Heels, also worth mentioning is that Bluefish alum Elizabeth Beisel swam for the Gators. Wouldn't be surprised if Pouch follows teammate Zane Backes (2018 IU) to IU, but currently no known connections amongst Tarvestad and Myhre. Presently, there are too many wildcards in play to determine where exactly these uncommitted recruits are heading towards, but definitely would all be great gets for the Bears! Will: "Excited to announce my verbal commitment to study and swim at Stanford University! Thank you to my family, coaches, team, and friends for helping me this far. Can't wait to see what the future holds on The Farm! Go Card! 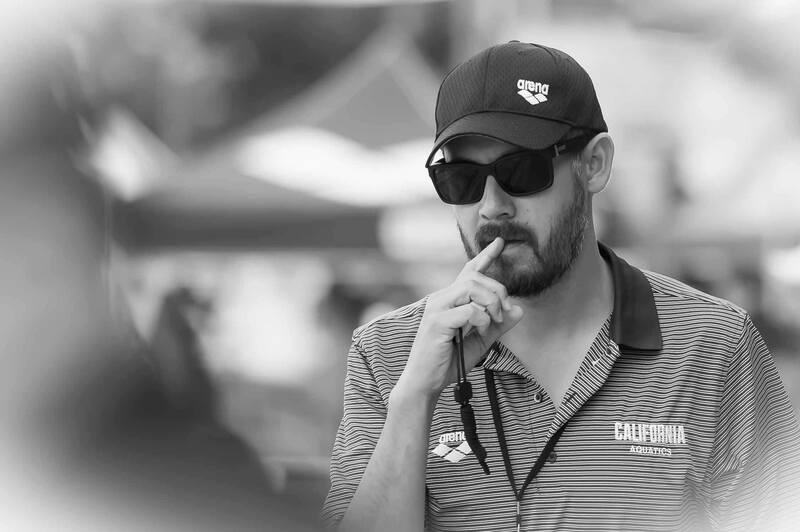 #fearthetree"
To give us a baseline of who appears in line for spots as things stand now, we're compiling the top 6 swims in each event by athletes who are eligible for Junior Pan Pacs. In order to be eligible for Junior Pan Pacs, a swimmer must be between 13 and 18 as of December 31, 2018. That means swimmers born between the years 2000 and 2005. Specific birthdays aren't always readily available for junior swimmers, so we've done our best to determine ages as of USA Swimming's SWIMS database. If a swimmer on this list is not eligible, let us know in the comments and we'll dig further. We've used the top times from the U.S. Nationals qualifying period that means from June 1, 2017 until now. Naturally, that will filter out athletes who had a rough summer of 2017 for whatever reason. That's not an intentional slight to those athletes, just a time frame that makes sense and limits our research field to a manageable size. It shouldn't have to be said, but this list is not a set-in-stone prediction of who will qualify and who won't. Young swimmers improve (and regress) all the time. Don't take offense that your favorite swimmer isn't listed, or is listed too low. This is merely a list of times within the time frame. For obvious reasons, we can't include relay splits there is no good database of relay splits to pull from. If your favorite swimmer has shown greater potential on relays, feel free to make note of that in the comments section. This story should also serve as a great opportunity to make your own predictions of who will make this summer's Junior Pan Pacs Team. The Jr Pan Pacs team will be selected based on the finish order of the 2018 U.S. National Championships. That means current national rankings mean nothing. If one swimmer makes the B final and another the C, the B final swimmer (if he or she finishes his or her finals race without DQing) will be the higher-placing athlete even if the C final swimmer puts up a better time in the final. Obviously, swimmers who don't compete at Nationals are not eligible. From a birds-eye view of the complex selection procedures, the top 2 in each event should make the team. If there's still space on the 20-boy, 20-girl roster, third, fourth, fifth and sixth place candidates could also make the team. Unlike many other meets, the top 6 in the 100 and 200 frees are not selected with higher priority. After second place, the roster will be filled out with the next-best swimmer from any event based on world rankings among juniors. The final wrinkle is that juniors who make the senior Pan Pacs team will not be able to swim Junior Pan Pacs.